🦃 Hi - we're keeping things short this week in respect of Thanksgiving. If you celebrate, we hope you have a good one. Back to full service next week. golicense: Analyze OSS Dependencies and Licenses From Go Binaries — If you or your company is worried about the licenses of open source software, this tool could be invaluable. ▶ An Intro to Go Modules and SemVer — The ever-effervescent Francesc Campoy tackles Go modules, as newly supported in Go 1.11, versioning, and dependency management in this 30 minute screencast. Shop Like a Developer – Discover & Try Hot New Services 🔥 — We’re not here to replace your favorite workflow, we’re here to upgrade it. 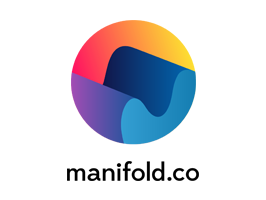 More services, an all-new discovery experience, and refreshed dashboard make Manifold the easiest way to build cloud native applications. Animated QR Data Transfer with Gomobile and GopherJS — This is a really neat experiment involving transferring data between phones using animated QR codes and using Go outside of its usual back-end environment. A fantastic writeup - you’ll enjoy this. Introducing Watermill: A Go Event-Driven Applications Library — Watermill aims to be a standard for message-driven applications in the Go community, offering an HTTP-like handler experience and easy-to-build middleware. GoAWK, The Tale of an AWK Interpreter Written in Go — A brief history of AWK and the story of creating a Go-based version of one of Unix’s best tools. Using Go for HTTP Performance Analysis — A look at performing structured analysis of the performance of a simple HTTP server in Go. Introducing Sexp: A Package Connecting R and Go — R is a great statistical programming environmental that’s well suited for heavy duty visualization and math. GoLand 2018.3 Released: A Commercial Go IDE — A notable addition is method-like compilation for functions (so you can find functions that accept values of the type you’re working with). Litter: A Pretty Printer for Go Data Structures — Handy for debugging and testing. autopprof: Pprof Made Easy at Development Time — Add a function to your app then you can trigger profiling with a signal. SMTP2HTTP: Receives Emails, Makes HTTP Requests — A simple HTTP server that turns emails into HTTP requests/webhooks. min: A Minimalistic Web Framework — Includes route grouping and middleware chaining. This week's winner is Varun Kumar who submitted Further Dangers of Large Heaps in Go - congratulations.